Thinking Of Taking a Vacation In Mesmerizing Manila? 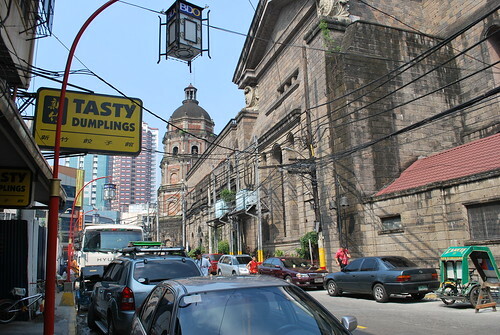 The lovely tropical city of Manila with its glorious culture and history offers tourists many attractions. Take a walk down its refurbished Baywalk while soaking in the delightful sights and sounds of Manila Bay. Or, tricycle your way to Chinatown, one of the world’s largest. Do take the time to stroll around its food and herbal stalls. Also stop by at some of the outlets selling Hopia or mooncakes and noodle soup. The combined odors are giddy and appetite whetting! Do not forget to visit the Bonifacio Shrine dedicated to the dynamic leader of the Philippine Revolution against Spanish rule in the 19th century. The shrine, built at the cross-roads of Rizal Avenue, symbolizes the initial conflict between Spanish forces and the Katipunan, the group of revolutionaries led by the firebrand Andres Bonifacio. Art lovers throng Manila by the droves. Reason being that the city is decked out in art museums and art galleries. The one museum that every tourist must visit, whether or not they happen to be lovers of art, is the Ayala Museum that showcases Filipino art and culture most aptly. And if you are looking to really live it up and let it all hang out hop into a cab and tell the cab driver to take you to Malate, which is renowned for its swinging night life. A word of warning, though: Manila cab drivers are known for their nefarious buck-making tactics. Please ensure that the meter is in working order and set at 30 pesos. Cafes, clubs, dancing and lilting music… the spirit of Malate is truly bohemian and upbeat. Feel tempted already?!!! Well, what do you know, cheap tickets to Manila are not all that hard to come by, no matter which part of the world you happen to be in. Airfare from Seattle to Manila starts from $ 491 on Hawaiian Airlines (round trip). Airfare from Guam to Manila starts from $ 300 on Philippine Airlines (round trip). Airfare from Las Vegas to Manila on Korean Air from $ 491 (round trip). Airfare from New York to Manila on Air China from $ 1,025 (round trip. Airfare from New Delhi to Manila on Singapore Airlines from $ 488 (round trip). Airfare from London to Manila on Malaysia Airlines from $ 902 (round trip). Airfare from Paris to Manila on Qatar Airways from $ 1021 (round trip). Airfare from Melbourne to Manila on Jetstar from $ 609 (round trip). Airfare from Sydney to Manila on Jetstar from $ 674 (round trip). The list is by no means exhaustive but enough to give you an idea. So why not log on to find manila flights and see for yourself? Do something different and go on Crete holidays this time. Crete forms a significant part of the economy and cultural heritage of Greece; while it retains its own local cultural traits such as their music.